Sexual and interpersonal violence and harassment continues to be a challenge for high schools, colleges, and workplaces. Soteria Solutions can help. We foster collaborations with our partners that leverage individual and organizational strengths to build safe and respectful learning, working, and living communities. We do this through training, consultation, and implementation of proven prevention and response strategies. More than a decade ago, our founders Jane Stapleton and Sharyn Potter launched the Prevention Innovations Research Center (PIRC) at the University of New Hampshire. Through PIRC they have released groundbreaking research, trained a new generation of researchers, and provided guidance to local, state, and national coalitions and consortiums. Their work to create a world free from sexual violence and stalking has been recognized through numerous awards and advisory roles — for example as members of President Obama's White House Task Force to Protect Students from Sexual Assault. A 501(c)(3) organization, Soterial Solutions is dedicated to helping practitioners reduce incidents of sexual and interpersonal violence and harassment. The formation of Soteria Solutions is enabling the launch of solutions for more communities and the expansion of support for practitioners. Study after study has demonstrated the problem schools, colleges, and workplaces face as they work to create safe and respectful environments for students and employees. Learn more in the documents below. Facts provided courtesy of Prevention Innovations Research Center, University of New Hampshire. Jane Stapleton, M.A., is the Co-founder and President of Soteria Solutions. She is also the Executive Director of Practice at the University of New Hampshire Prevention Innovations Research Center. 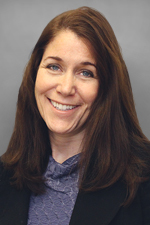 Sharyn J. Potter, Ph.D., MPH, is the Co-founder and VP of Research for Soteria Solutions. She is also the Co-founder and Executive Director of Research at the Prevention Innovations Research Center at the University of New Hampshire, and Professor of Sociology at UNH. Jennifer Scrafford is the VP of Operations for Soteria Solutions. She is also the Director of Commercialized Product Development and Technology Transfer for the Prevention Innovations Research Center at UNH. Robert (Bobby) Eckstein, Psy. D., is a lead trainer and co-author of Bringing in the Bystander® College and High School Prevention Program. He is also a Practitioner Fellow for Prevention Innovations Research Center at the University of New Hampshire and a Senior Lecturer for the Department of Psychology and the Justice Studies Program, where he also serves as the Coordinator of Field Education. LB Klein, MSW, MPA, has dedicated her research and practice to ending gender-based violence, supporting survivors, and advancing social justice. She is a lead trainer for Bringing in the Bystander® Prevention Program and a Practitioner Fellow for Prevention Innovations Research Center at the University of New Hampshire. Lee Helmken Cherry is a lead trainer for Bringing in the Bystander® College Prevention Program and a Practitioner Fellow for Prevention Innovations Research Center at the University of New Hampshire. Kate Rohdenburg, M.S., is a lead trainers for both College and High School Bringing in the Bystander® prevention program and a Practitioner Fellow for PIRC. Kate is also the Program Director at WISE, where she has worked since 2007. Her work focuses on engaging youth to end gender-based violence, and on building organizations that can sustain social change activism. Kate’s work with youth has been recognized as innovative and instrumental in shaping best practice. She was awarded the 2016 Practitioner of the Year by Prevention Innovations Research Center at the University of New Hampshire, and has been featured in reports for The Atlantic, Brain Child Magazine, and NPR. Angela M. Borges, Ph.D., is a Practitioner Fellow for Prevention Innovations Research Center (PIRC) and a Lead Trainer and Curriculum Development Specialist for Soteria Solutions. Since its inception in 2003, she has been a co-facilitator and lead Trainer of new facilitators for Bringing in the Bystander® College Program. Caroline Leyva, MPA, is a Lead Trainer both High School and College Bringing in the Bystander® program and a Practitioner Fellow for PIRC. Caroline received her B.A. in Women’s Studies at the University of New Hampshire and her M.P.A. at the University of Hawai`i Manoa. While living in Hawai`i Caroline founded and was the Executive Director of a not-for-profit for queer youth and young adults, synthesizing prevention, leadership and social justice using a youth-led model. She also served as the State of Hawai`i federal fellow, 2006-2009, for SAMHSAs Center for Substance Abuse Prevention. She recently authored an adaptation of the Bringing in the Bystander® program for high school audiences. Meera Seshadri, MSPH, is a curriculum development specialist and lead trainer for Bringing in the Bystander® College Prevention Program. Meera is based in Cambridge, MA, and has spent over a decade working as an activist, researcher, and public health professional to promote bodily integrity, sexual and reproductive autonomy, and adolescent sexual health for communities in the United States and India.